Nick Zano (aka Nicky Zano) is an actor you have likely seen on film and in television but may know little about. One of his best known roles was his character Vince in the hit television series, What I Like About You (2003-2006). More recently, he has appeared on sitcoms like Two Broke Girls in the role of Johnny and One Big Happy as Luke. What’s remarkable about this celebrity is the way he has been able to keep himself physically fit while defying his true age. Believe it or not – Nick Zano is almost 40 years old! Recently, there has been a great deal of interest in this star because of his expanding television presence. People want to know basic facts about the man – including his age, height, workout routine and approach to grooming. Given his rising popularity, I thought it might be kind of cool to do an analysis of Nick Zano to uncover the answers to these questions. If you are a fan of MDL, you likely know that I go into a lot of detail about celebrity workouts and self-care routines and include a psychological slant. So that is the secret to Nick Zano’s physique? How has he been able to build and maintain such a strong, lean and attractive body? What does he do to keep himself in shape? Is there something we can glean from his body type that might give us clues to his physical appearance? 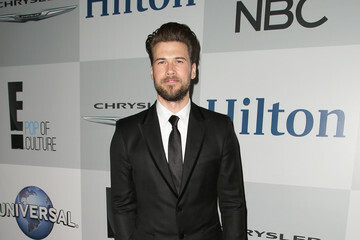 And what might Nick Zano be doing to keep himself looking much younger than his biological age? I’ve studied this blue eyed actor for some time now and looked at some of the details of his past. My hope in presenting what appears here – viewed through the bifocal lenses of behavioral profiling and exercise science – will allow you to enhance your appearance using Nick Zano as a blueprint. Let’s take a look at some of the basic details on Nick Zano so you can gain a better understanding of this guy. For fun, I’ve included information about his girlfriends, based on the public record. You will also find specific observations about his workout routine and my best analysis for Nick Zano’s self-care routine. The backstory on this actor is that he has always been a movie-buff. He’s gone on record sharing that he developed his passion for the silver screen at the age of 12 when he watched the flick, Good Fellas starting Robert De Niro (1990). He was born in New Jersey but spent most of his formative years in West Palm Beach, Florida. During his time at Wellington High School, he was active in the drama club. Going by the public record, it also sounds like he spent a lot of time in detention. That time, however, would not go to waste as Zano used it as an opportunity to write short films. In 2001 at the age of 23, Zano moved to Los Angeles to throw his hat into the world of acting. To make ends meet, he worked at Kenneth Cole as a shoe salesman. It wasn’t long before folks in the entertainment industry started to take notice of him and he started picking up gigs. I won’t go into his impressive list of credits here but if you are interested in checking them out, visit his filmography pages on his IMDb file. Nick Zano was born in March of 1978. At the time of this publication, that makes him 37-years old. He’s not yet 40 but is getting close. I am mentioning this because when you look at this actor, he seems to be one of those people that are somehow able to defy his true age. Very few people have this ability. About the only person that comes close is mega-watt celebrity, Jared Leto. I’ll be getting into some of the reasons what I think Zano is able to do this but what is important that you know now is that the man appears to have good genes. According to his personal bio, he is a mix of Italian, Sicilian and Irish. Men who have Mediterranean backgrounds usually have oily skin. While this can often be a negative in terms of acne, it can be a net positive on the anti-wrinkle front. I’ll be getting into his skin care routine later but I’ll state here that genetics is a key factor when it comes to youthfulness. This is why it is important to know something about your background when making choices for grooming. In studying Zano’s personality, all indications suggest this is a very warm and gentle person, devoid of the arrogance that we see in so many Hollywood celebrities. He grew up in a household of women, being raised by his great grandmother, mother and two aunts. Just to give you an idea of how real this guy is – his grandmother was a bartender – meaning he came from he came from working person stock, just like me and perhaps just like you. Based on other research, it also appears Nick (aka Nicky” has used the gym from very early in his life to channel his energy in a positive way. In a post appearing on Tumblr, he shared that when he was 12 years old; he got into a bit of trouble and did some things he wasn’t proud of. His grandfather apparently helped turn him onto physical fitness to help young Nicky find productive ways of coping with all that he was going through at that young age in his life. This also is a man who happens to be fond of the water. Growing up mostly in Florida and close to the Atlantic Ocean, he reportedly spent a lot of time on the beach. Later in life, he transplanted to the West coast – near the Pacific Ocean – with plenty of photographic evidence to suggest he enjoys the blue water encompassing the California coast. In this way, he is similar to his fellow blue eyed celebrities, Mr. Scott Eastwood and Christopher “Captain Kirk” Pine. We know his public interviews that he has a creative streak. For example, he shared in an interview with Just Jared in 2009 that he enjoys being in front of the camera as an actor and behind the camera as a director. These talents appear to date to his young adulthood. Most descriptions that appear online of Zano describe him as approachable, down to earth and charming. If you notice, this actor gives off a very laidback, “go with it” vibe. Growing up near progressive West Palm Beach, Florida – it kind of makes sense. His Interview Magazine back and forth piece with buddy Channing Tatum gives you a bird’s eye view into his personality. Zano stands at 6’1 and has a muscular, defined physique. He has brownish hair that can sometimes take on different hews of red, depending upon the lighting. What is most striking is how much he looks like superstar, Brad Pitt. When you compare their photos and match them with pictures of what Pitt looked like in his early 30’s, it’s kind of striking. When you look at this actor, you can easily tell that he fits the ectomorph profile. He stands at 6’1 and weighs in the neighborhood of 175-180lbs. Ectomorphs typically are tall and thin and sometimes have difficulty putting on new muscle because of their elongated muscle fiber types. Captain America star, Chris Evans, is an ectomorph. Based on photographic evidence and remarks made by the star, we can draw some conclusions about his likely workout routine. Bear in mind that Nick is a physically active guy and likes to be outdoors when possible. His hobbies include playing football, hanging out by the beach and painting. He has a dog named Rocco that he likes to spend time with and take on long walks. These activities (save the paining) are just part of his natural approach to getting in cardio vascular exercise. He doesn’t need to do a lot of cardio however, because most ectomorphs are naturally built and have a relatively easy time keeping off body fat. This is unlike their endomorphic counterparts like Zach Efron. Focused upper body workouts, zeroing in on pecs. Not much is known about Nick Zano’s diet however, we can make some assumptions based on his physical appearance. There is no way he looks as fit as he does without adhering to some type of regimented eating schedule. This means he likely has 4-5 small meals a day (when possible) and is mindful of the nutritional value of what he consumes. Because Nick is part Italian/Sicilian, he likely eats a lot of fish – a food that is generally low in fat and high in protein – and happens to be a major staple of the culture. He has been known to eat fast foods, as indicated in his interview with buddy Channing Tatum. Given his current age, it will be important for Nick to avoid eating foods that are high because his metabolic rate is changing as he ages. Nick also enjoys the occasional bear (we know this from pictures). Nothing wrong with this however, as he continues to age the star will need to be mindful of how much alcohol he consumes because in most cases, it adds nothing but empty calories to his body. Most ectomorphs benefit from a fairly high caloric intake. The trick for this body type, however, is to make sure the right types of foods are being ingested. Examples include chicken, fish, beans (lentils) and nuts. Should Nick decide to eat foods that are not the healthiest for him – such as fast food – he will need to make sure his gym visits are consistent and not find excuses for blowing them off. Given the youthful appearance of Nick Zano, there are likely a number of things he does on the self-care front enhance and maintain what we see on TV. When you look closely at his face, you can however see some of the tell-tale signs of aging. This is particularly true around the eyes (crow’s feet) and lines on the forehead. The wrinkles are likely a combination of genetics and time spent in the bright California sun. I am going to walk you through his possible skin care routine for those of you who are interested in replicating what he might be doing to look so amazing. Obviously, these suggestions are based on my own personal observations and careful examination of Nick Zano and you may have your own. I suspect strongly that Nick Zano doesn’t primp in front of the mirror and spend and spend an exorbitant amount of time fussing over his face. Given that he is prone to oily skin, he likely uses a simple product on a daily basis for basic cleaning. An example can be found in Dermalogica’s Essential Cleansing Solution. For moisturizing, I suspect he uses something that is non-greasy, offers sun protection and helps to keep redness at a minimum. Because Nick is part Irish, he is prone to the skin condition known as rosacea. He likely uses something like Eucerin’s Redness Relief Moisturizer with a SPF of 15. If he isn’t doing this already (I suspect he is) Nick could benefit from using something around the eyes to help minimize the appearance of wrinkles. A good product for this would be CeraVe eye repair cream. This is an inexpensive product that yields excellent results because it contains hyaluronic acid that has a smoothing effect. Plus, the cream doubles to reduce dark circles under the eyes and get rid of puffiness. Nick Zano has no visible signs of hair loss. In fact, his hairline doesn’t seem to really have receded. This is unusual because a lot of guys start to experience some type of hair loss in their late 20’s to mid-30’s. Apparently, he has the luck of the Irish – at least in part since he is part Irish and part Sicilian. You can bet he goes to a professional stylist to achieve the look you see on television. If I had to guess, he may use something at home to chase away the gray hairs. A product that comes to mind is John Frieda’s Color Glaze. The great thing about this product is that it doesn’t deposit permanent color. Instead, it coats the hair with a luminous gel like substance that you rinse off in the shower. The end result is a high shine with a decent darkening in light (grey) areas. Again – this is not hair coloring. If his stylist is coloring his hair (something not unusual for men now-a-days), it is likely a natural brown product of some type that naturally blends in. My sense of Nick Zano is that he is a laid back guy who pays attention to his appearance. Not unusual for most celebrities, right? He likely uses something that’s not overly complicated, such as a 2 in 1 shampoo and conditioner. Redken for Men has a product called Clean Spice that would work well with Nick’s hair type (See Amazon). Because he has thick hair, dense hair, he may need to use something like Dove’s Fortifying Paste, which helps to keep everything in place and affords the ability to sculpture. I’m obviously a fan of Nick Zano and I suspect that since you have read this article, you are too. His career to be doing well and he has been picking up more and more prominent acting gigs as of late. He just needs to continue to be mindful of the sun and avoid too much exposure to skin damage. What’s great about Nick is that his physique is naturally built and not overdone.